Legend has it that he was a powerful archer before death. After his death, since he was eager to fight, his soul was attached to the armor and took up arms to continue fighting. Because of his strong resentment, he attacks anyone he sees. Don't provoke him and please Flee quickly after seeing him! 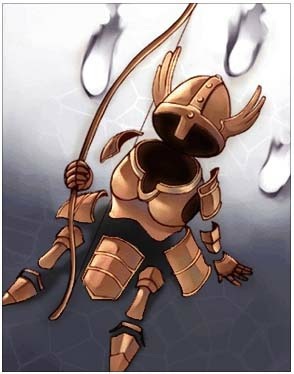 When insect monsters are skilled, Caster has a 10% chance to increase Refine Atk for a certain period; the effect can stack up 3 times.